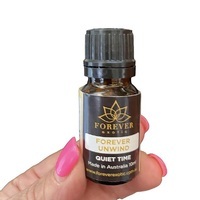 Stress Relief Essential Oil Blend has been formulated to relieve symptoms of stress and anxiety caused by everyday challenges. Place 2-3 drops on an eye pillow, relax and let go. Orange Sweet, Bergamont, Patchouli, Lavender & Ylang Ylang Essential Oils.